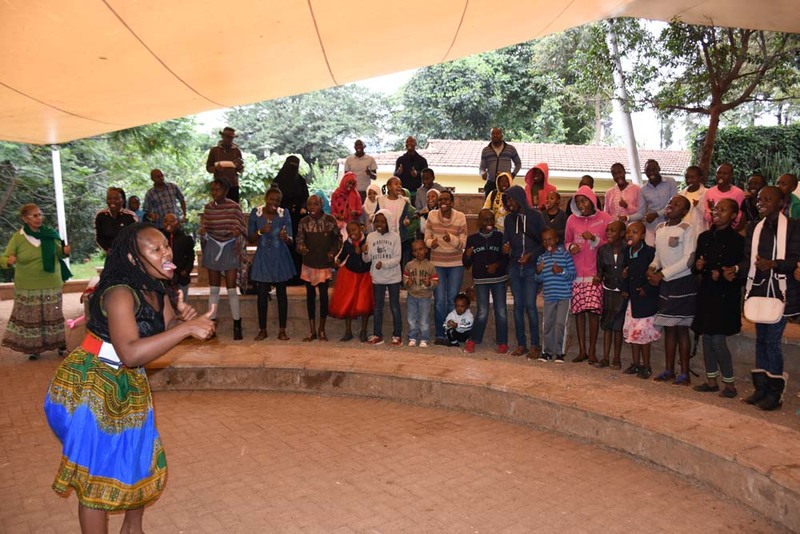 The Day of the African Child 2018, celebrated annually on June 16, was this year marked with song and dance led by Nairobi based “Time Out.” The events were hosted at the Kenya National Museum. Parents need all the help they can get to interact with their kids and other parents in the same space at the best of times. This isn’t the case in Nairobi as there is a dearth of opportunities for kids and parents for leisure activities. This is why storyteller Wangari The Storyteller, who we have featured previously here before, started the “Time Out” event where parents and their children can engage in a range of carefully designed play-based activities that maximize learning potential. The event, which happens every two months, offers an intimate and nurturing experience taking into account the uniqueness of each child. Activities include storytelling, chats with authors, art/craft making, music, dance, poetry, and theatre. June 16 is the African Union designated “Day of the African Child” in honour of the children who took part in the Soweto uprising on that day in 1976. On Saturday, the Time Out kids and their parents were hosted to fun and games at the Kenya National Museum in Nairobi. The kids who were 200 in number played games, sung as well as visited the museum which is one of the most respected in the region. Here are images from the celebration courtesy of the event organisers. Time out: singing and dancing. Time out featured writer Muthoni Garland with the kids. Time out: the audience participating in the story shared by Wangari The Storyteller. Time out: Wangari The Storyteller Grace and Rose Kinyanjui sing. Time out: At the museum. Previous Previous post: Bookish people host Peter Kimani to Nairobi reading. Next Next post: 700 page Sol Plaatje biography to launch at Sol Plaatje University.